Open Miami's Touring ADVANTAGE - Enjoy a unique version of this vibrant city without any filter in convertible mode. A fascinating experience thanks to its retractable glass panel roof. Tours available in 4 LANGUAGES to facilitate your experience. Guides speak English, Spanish, French and Italian. Please keep in mind that the Panoramic Tour is narrated in English by default. But for example, if the entire group is entirely composed of French, Italian or Spanish speakers, the tour can easily be narrated in one of those languages. 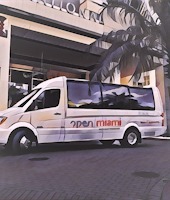 Open Miami Tours, offers unique tours of Miami. Tour guests enjoy the panoramic roof and discover the city like never before whatever the weather conditions are! Take advantage of a spectacular 360° panoramic view thanks to its transparent roof with UV protection. Sight-see Miami without being obstructed by a roof and enjoy Miami in this Open-Air tour experience! MIAMI PANORAMIC TOUR WILL TAKE YOU ON A COMPREHENSIVE TOUR OF MIAMI! Checkout Open Miami's Panoramic Bus Tour! Looking for a tour in Miami for a group? At American Dream Tour, we want to make sure everyone is able to tour Miami the best way possible. We know sometimes you may want to tour as a larger group while still enjoying Miami's beautiful weather sightseeing in Open-Air style tour of Miami. Tour starts with a ride around SOUTH BEACH with its colorful Art Deco District to DOWNTOWN MIAMI to feel the pulse of the city. Then we will cruise over and make a stop at LITTLE HAVANA, the hottest neighborhood of Miami for a deep dive in Cuban culture. Next stop: the vibrant WYNWOOD neighborhood where we will learn all there is to know about Street Art. We will then head over to the MIAMI DESIGN DISTRICT with its luxury shops and distinctive vibe. After all of our adventures we will head back to SOUTH BEACH via the Julia Tuttle Causeway with an exceptional view of the Magic City. 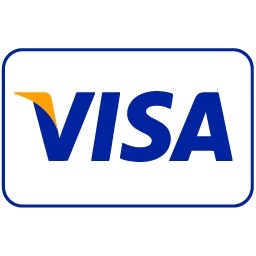 Tours rates are based per passenger.